Sun, 21st: 4 Boardgames for Kids that You’ll Love! Thu, 18th: Our Soban K-Town Grill Experience! Mon, 8th: Understanding Mutual Funds and FAMI’s Smart Women Invest! Sun, 3rd: What is True Beauty? Wed, 23rd: Goodbye, Influencers. Hello, Thought Leaders! Tue, 8th: Business Renewal with BIR -Here’s an Easier Way! Thu, 3rd: My Plans for this Year! Tue, 1st: Hello, World! I’m Ginger. Mon, 31st: I Hope I’ll Get Over You, 2018! Fri, 28th: My One Word for 2019 — Introspect! Sat, 15th: Globe and Puregold Celebrates 917 day! Wed, 12th: Go Invest with GInvest! Tue, 21st: Joining The Freelancer Fair 2018? Here’s What To Expect! Sun, 22nd: A Not So Ordinary Event — Lots of Love for Sanicare! Sat, 9th: Your Kids are Smart. Habits can be Picked up. Sun, 20th: On Defining Goals – Am I losing Clarity? Mon, 16th: Need a little help with your Fitness Goals? Check out Fitness Mobil! Wed, 28th: Staycation at Nobu Hotel and Family Bonding at DreamPlay! Sun, 11th: Get Huge Discounts at the S&R Members’ Treat 2018! Mon, 26th: Will you be attending Sparkfest 2018? Sun, 25th: Bounce Philippines – For Fit and Healthy Kids and Adults! Wed, 7th: Is It Too Late to Start a Business? Where can I Start? Sat, 3rd: Learning Snippets: What is a Cryptocurrency and Bitcoin? Thu, 1st: City Chef: Yummy Food you can Eat Anytime, Anywhere! Sat, 23rd: Don’t know what to Serve? Discover Purefoods Heat & Eat! Sun, 26th: I am part of the Netflix Stream Team! Mon, 6th: Mad Hatter: Freelancing Demands Many Hats! Wed, 18th: Babyzen Yoyo+ Stroller! Mon, 11th: RISE OF THE FREE: Freelance Professionals for the Win! Fri, 8th: Where to hire a freelancer? Wed, 30th: Freelancers’ Questions About Taxation, Answered! Fri, 28th: Do you want to be a Freelancer? Sun, 2nd: How to start Freelancing? Where do I begin? Fri, 9th: Mommy Diaries: Back to School Shopping at NBS was FUN! Sun, 21st: Speak Up with K! Speak Up with Kamillosan! Fri, 28th: Are We All Passionate People? Sat, 22nd: Blog Carnival: Come and Join the Conversation! Thu, 20th: I’m a Kamiseta Girl! Sat, 15th: Shakeaway Philippines: Perfect for this Hot Season! Tue, 7th: Will Screws Screw You Over? Sun, 5th: Why We Should Love Even when It Hurts — Sometimes. Fri, 3rd: Short but Sweet… I Love You! Tue, 13th: Christmas Gift Ideas for Family and Friends from Katsa Co.
Fri, 25th: Create a Blog and BRAND It! Mon, 7th: Is this Business Blog All that Matters? Thu, 27th: Traveling with your Kids to Davao! Fri, 14th: Some Would Just Sit. But I’m not the Type. Mon, 10th: Zero to Hero : How to Start your Own Business From Nothing! Sat, 17th: Ladies, We are Definitely Worth it! Tue, 30th: Mommy Beginnings: Shoutout to Soon-to-Be Parents from the South! Thu, 30th: The Beauty Biz Bliss Community: Be a Boss Bella! Wed, 29th: Why I Need a Personal Robot? Sun, 13th: Let’s Celebrate Philippine Heart Month! Tue, 19th: Four Amazing Workshops this Saturday — Will I see you? Wed, 18th: Why I’m Excited to Go to Kidzania! Thu, 12th: I Choose Pharex! Mon, 9th: Mama Empanada: The Best Empanadas in Town! Mon, 2nd: November and Me Time! Wed, 7th: Homeschooling is Cool! Fri, 2nd: Beauty Biz Bliss: We are Here for You! Wed, 23rd: Work-at-Home-Expo 2015: 3 More Days To Go! Wed, 19th: FutureYou.ph: Helping you Get Ready for your Future! Thu, 23rd: Paper Cutting 101: A Cool Form of Art to Try! Thu, 16th: Business Renewal for an Affordable Price! Mon, 6th: Does Your Life Have Meaning? Thu, 2nd: I Love The Philippine Competition Act! Mon, 22nd: The Payoneer Forum: See you there! Wed, 17th: Foodee: Enjoy Food Whenever… Wherever! Mon, 15th: Join me for an Entrepreneurship 101 Workshop in Bacolod! Wed, 10th: Intellect or Character? Fri, 29th: Beatrix New York now in Manila! Sun, 17th: Modern Calligraphy Meet Up on May 23! Sun, 10th: Happy Mother’s Day! Tue, 5th: Cool Kids wear Babiators! Mon, 27th: First Episode of GTV! Let’s all Love the Leap! Tue, 21st: Brand Yourself — Personal Branding Workshop! Sat, 18th: Check on What Encouraged Me to Cook! Tue, 31st: Launching GTV — oh yeah! Thu, 26th: Personal Branding: Is it that Important? Tue, 24th: Is it possible for a WAHM to get rich? Thu, 5th: Create DIY Toys for your Kids! Fri, 27th: The Google Cardboard — Coolness! Tue, 20th: Perfect Gift for Hubby for Valentine’s Day — Boudoir Pictures! Thu, 8th: Are you a Connector? Mon, 5th: My One Word for 2015 — FEEL! Fri, 26th: Cheez Whiz Tuna Pasta for the Mom who Tries! Sat, 6th: Happy 104th Birthday, Insular Life! Fri, 28th: Be a Certified E-Commerce Specialist with this E-Commerce Professional Program! Sun, 23rd: Catch me at the Philippine SME Business Expo Today! Tue, 18th: Gift Wrapping done creatively! Tue, 11th: How to Create your Own Parties! Mon, 3rd: A Big THANK YOU! – Work-at-Home Weekend Expo 2014 (Promo)! Wed, 29th: Kerygma Conference 2014: Excited to go! Thu, 16th: The Work-at-Home Me! Wed, 1st: My Birthday Wish is to be MAD! Wed, 24th: I’m Back — Stronger and More Inspired! Wed, 17th: Do you believe in Soulmates? Fri, 12th: Workshops for Families and Soon-to-Be Parents! Thu, 11th: Do you really understand what Dengue is? Wed, 3rd: Learn How to Sketch! Mon, 11th: Teach your Children Art! Tue, 5th: Lotte Xylitol Smile Champions! Sat, 26th: To Homeschool or Not to Homeschool? Thu, 29th: Ready for Baby #2? Fri, 16th: How Do You Fight? Sat, 19th: Reset your Life — Go all Natural! Fri, 21st: FREE Prenatal Yoga Classes and Workshop Slots to be given out! Mon, 10th: Happy First Birthday, Little Miss Zeeka! Wed, 5th: Parenting Workshops on Toddler Care, Dental Care, Breastfeeding and Making your Own Parties! Fri, 28th: A Busy Weekend for Mommy Ginger! 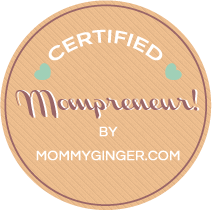 Sun, 16th: Tax — Key Things to Know if You are a Mompreneur! Wed, 12th: Encouraging Kids to Learn about Money — Money Smart Kids! Tue, 11th: Built — Making it work for you and your Baby! Mon, 3rd: February Blog Theme is Planning… Mostly Zeeka’s First Birthday Plans! Fri, 24th: A Sunshine Award for a Brighter Day! Wed, 1st: Wishing You a Successful and Healthy 2014! Sat, 21st: Do You Believe in Santa? Do You Believe in Christmas Miracles? Mon, 16th: BEME — Let’s Learn Arts and Crafts! Tue, 5th: A Wonderful 1st Anniversary: WAHMderful Weekend! Fri, 18th: Family Finances: Learn How to Manage and Balance your Family’s Budget Today! Wed, 9th: You Can Homeschool! Be Inspired. Be Informed. Be Empowered. Giveaway Alert from Bee Happy Crafts and Party Supplies! Fri, 20th: Happy Birthday, Daddy EJ! Wed, 28th: Mompreneur Jackie Caniza of Business Hat Inc.
Thu, 15th: Beans Baby Store and Mommy Ginger Giveaway! Wed, 7th: Achieve Financial Freedom: Start Now! 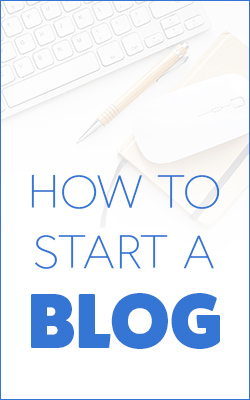 Sat, 3rd: Why I Blog? Tue, 30th: I’m a Lotte Xylitol Mom Brand Believer! Wed, 10th: How do you Manage your Household Budget? Tue, 4th: Breastfeeding is still the ‘Best Start’ with Dads or Moms or Whoever! Fri, 17th: A Day for Discovery and Exploration at Baby Blast Year 4! Tue, 7th: Are you a First Time Parent? Thu, 11th: Sakura Mommy of the Month: Why Should you be Mommy of the Month? Tue, 9th: Congratulations to the Winner of the Taste Central and Mommy Ginger Giveaway! Thu, 4th: I Want to Increase my Breast Milk Supply! Fri, 8th: Zeeka, we’re finally going to meet you! Wed, 13th: Momtrepreneur Ethel Cuerpo-Bernales of Celestina & Co.
Fri, 8th: What is a Supermom? Tue, 22nd: What’s your “Business” Reason, Momtrepreneur?